The Seligman House is among the best-preserved examples of Gilbert & Taylor's residential work, although the rear of the house has been remodeled. The projected second floor, small leaded-glass windows, and English-style window trim of the north portion of the building are derived from seventeenth-century American Colonial sources. The south portion of the building is a mixture of eighteenth-century American Colonial and Queen Anne details. The front entry is a grand example of Romanesque-style woodcarving. The interior is richly decorated with details derived from Richardsonian, American Colonial, and Queen Anne sources. 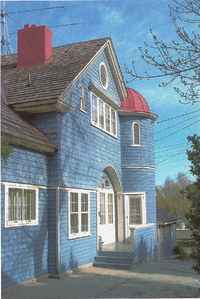 The carriage house is clearly a Shingle-Style design. A notable feature is the spiral stair topped with a bell-cast roof, a design element Gilbert & Taylor would later use at the Town and Country Club in Saint Paul (1889). The carriage house was discretely placed across the alley from the house. The parcels were separated at an early date, and the carriage house was converted to a residence. 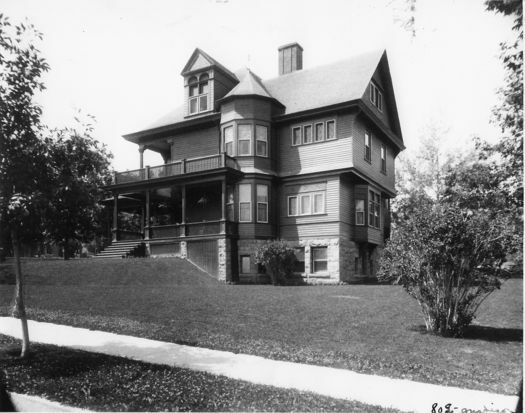 Early photographs of the house are in the possession of the current owners.